I am so incredibly in love with this couple. 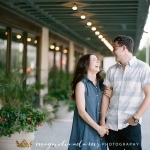 I could tell you a million fun stories with them, and also the ways they’ve encouraged me as a photographer. They’ve modeled for me, sent me words of encouragement and praise me like no other. I’m blessed to know them and have them in my life. AND THEY’RE GOING TO HAVE A BABY! After years of watching them love on other friends’ little ones, Baby Davy is on his/her way! 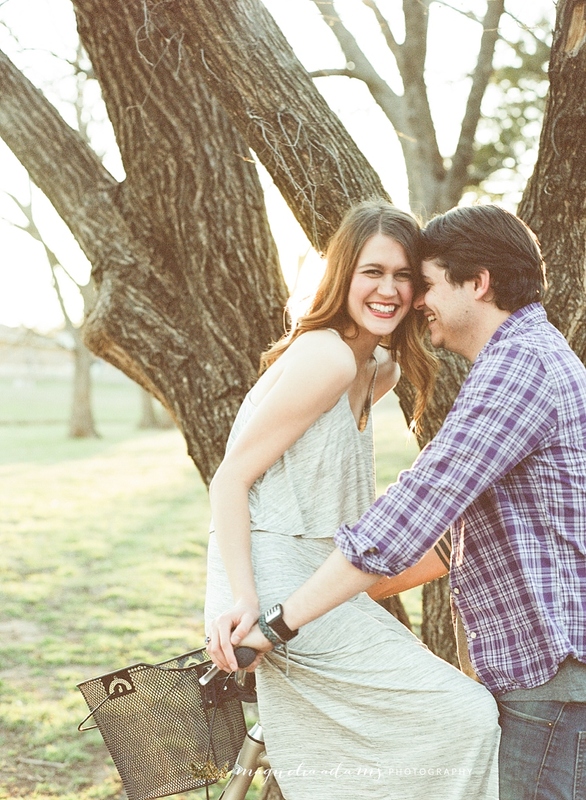 Liz and Trey did their engagement photos with the insanely talented Photos By Esther and used this bike and this pose on their save the dates. When I did their anniversary pics (you can see those if you click here) we took the bike back out and it was then that Liz and I joked about using the bike to commemorate all their big milestones. 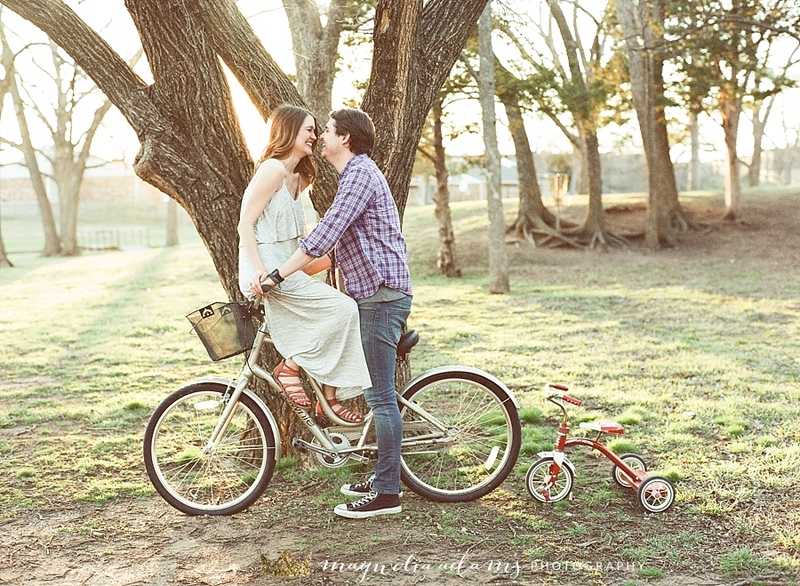 Maternity photos and the bike, newborn baby in the basket, baby #1 on Trey’s shoulders and baby #2 in the basket. Haha the list went on. Well she really did it! 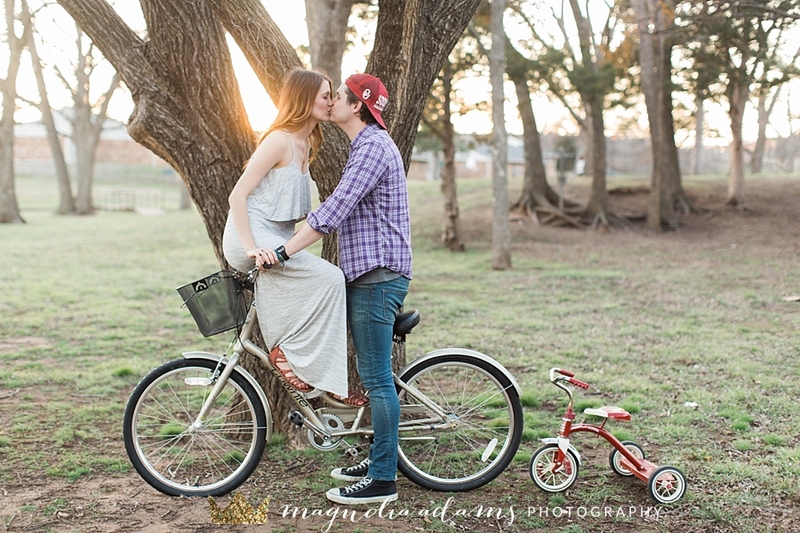 They used the bike to announce baby was on the way.